You are at:Home»iPhone»Photos»Photos Missing On iPhone? Here’s Why & The Real Fix! You can’t find some of your iPhone photos and you’re not quite sure where they could’ve went. You’ve scrolled through your entire photo library, but the one you’re looking for simply isn’t there. In this article, I’ll explain why photos are missing on your iPhone and show you how to find them! Sometimes, the photos missing on your iPhone are just in the Recently Deleted album in the Photos app. To check your Recently Deleted album, open Photos and tap on the Albums tab at the bottom of the screen. Then, scroll all the way down to Recently Deleted under the Other Albums heading. Tap on Recently Deleted and see if your missing iPhone photos are here. 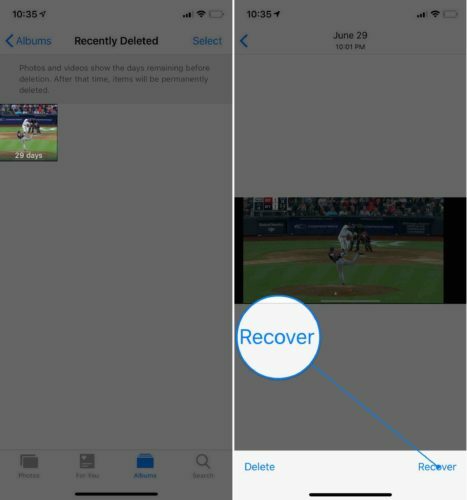 You can recover any photo from your Recently Deleted album by tapping on it and tapping Recover. If you’ve ever hidden photos on your iPhone, they won’t show up in the Camera Roll on your iPhone. They’ll only be accessible in the Hidden album. So, go to the Photos app and tap on the Albums tab. Then, scroll all the way down and tap Hidden. Are your missing iPhone photos here? If so, tap on a photo you’d like to recover, then tap the Share button. Finally, tap Unhide. Now these photos will appear in your Camera Roll. 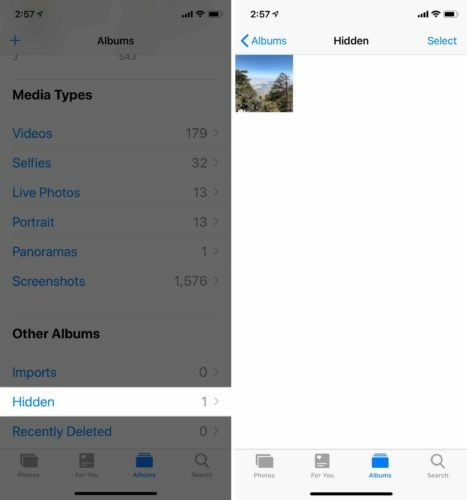 If the your missing iPhone photos weren’t in the Recently Deleted album, head to Settings and tap on your name at the top of the screen. Then, tap iCloud. 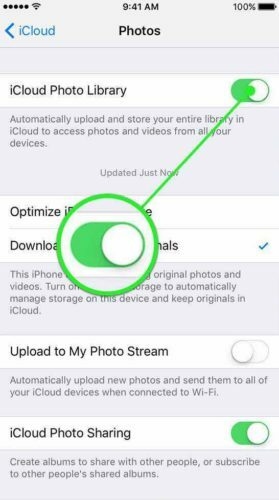 Next, tap Photos and make sure the switch next to iCloud Photo Library is turned on. You’ll know it’s on when the switch is green! 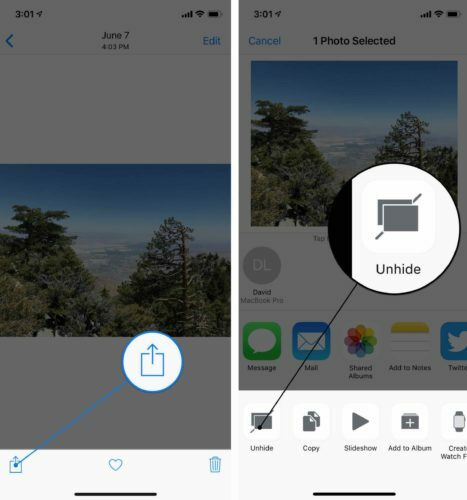 It’s important to turn on iCloud Photo Library because this feature will save and store all of your photos in iCloud so you can access them on any of your iCloud-connected devices. If iCloud Photo Library is on, you may not see the photo on your iPhone, but you’ll be able to access it in iCloud! Once you’ve turned on iCloud Photo Library, go back to the main page in Settings and tap Wi-Fi. Make sure Wi-Fi is turned on. Give your iPhone a few minutes to sync up with iCloud, then go back to Photos on your iPhone and search for your pictures again. If you’re still missing photos on your iPhone after turning on iCloud Photo Library, quickly make sure that you’re logged into the correct Apple ID. If you’re logged into the incorrect Apple ID, you could run into problems when saving your photos to iCloud and syncing your photos between devices. 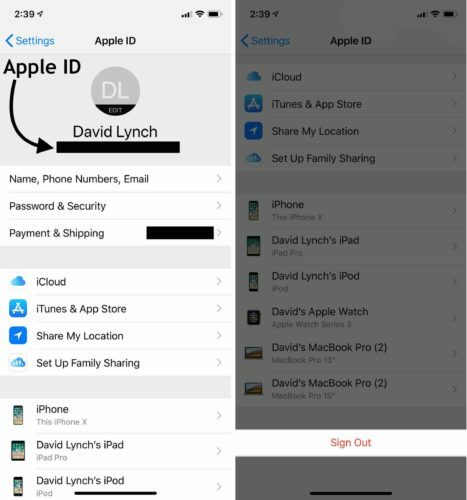 To check the Apple ID you’re logged in with, open Settings and tap on your name at the very top of the screen. The email address you see under your name is the Apple ID you’re currently logged in with. If it’s the wrong Apple ID, scroll all the way down and tap Sign Out. If you’re logged into the correct Apple ID, try signing out and back in anyway — a minor glitch could be causing the problem. You’ve found those lost pictures on your iPhone! Next time there are some photos missing on your iPhone, you’ll know exactly how to fix the problem. 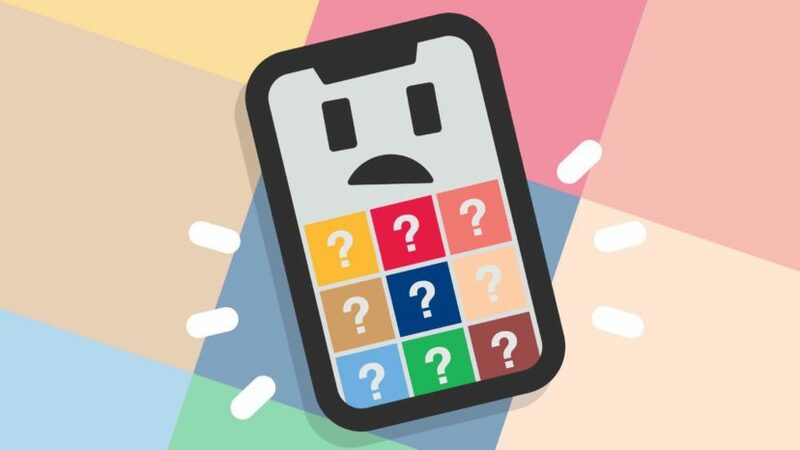 If you have any questions about your iPhone, feel free to ask them below in the comments section. Previous ArticleHow Do I Turn Off Notifications On iPhone? Here’s The Fix! Next Article How To Change Your iPhone Passcode: The Quick & Easy Fix!